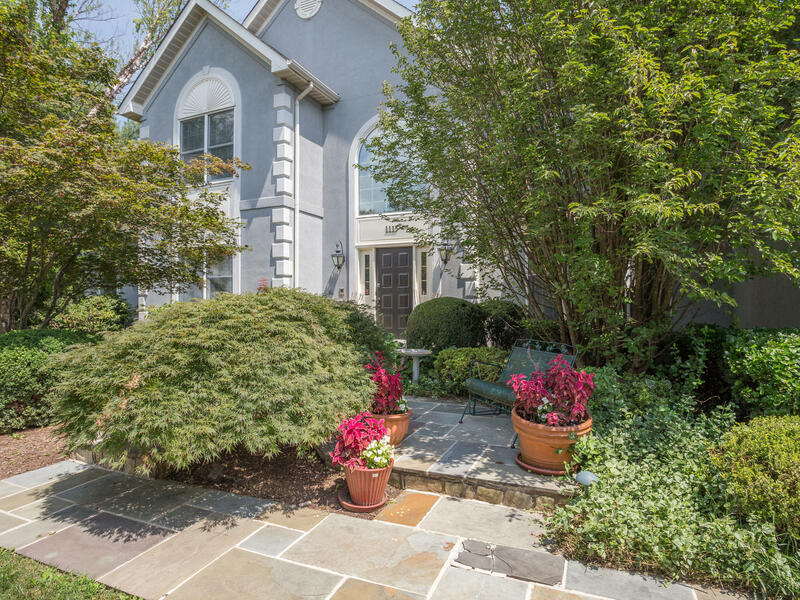 1115 Amanda Dr, Great Falls, VA 22066 SOLD for $1,125,000. Find out how much your property might sell for with our Instant Home Value Estimator. Over a month before going on the market, we met with the sellers of 1115 Amanda Dr to put together a marketing strategy to put the home’s best foot forward. 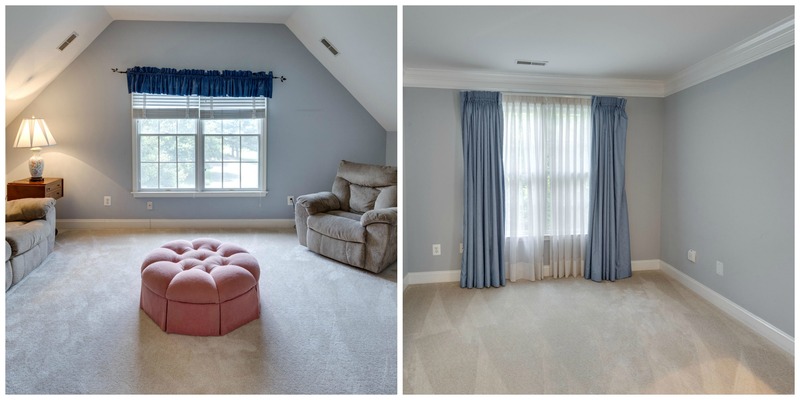 The home was in need of updates so we presented the sellers with a couple of options. 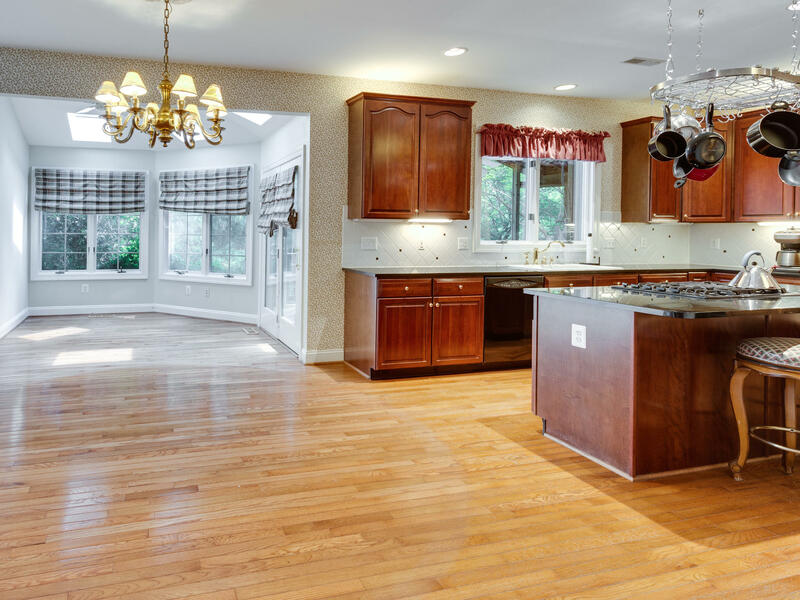 The first route was to make some updates and upgrades to the home to fetch a much higher sale price. The second option was to maintain the home in clean, marketable condition but in need of updates at a lower price point. The sellers already had their new home and preferred to move on to their next adventure instead of investing time and money on upgrades for 1115 Amanda Dr, so they chose to leave the home in good showing condition, but in need of updates at a lower price point. Our marketing plan was then built around the seller’s decision and our job was to find a buyer who was looking for a home that they could make their own and put their personal stamp on. Through our Facebook marketing campaign targeted to people in the Great Falls area likely to make a home purchase, the future buyers of 1115 Amanda Drive saw our advertisement for the home and immediately recognized its potential. 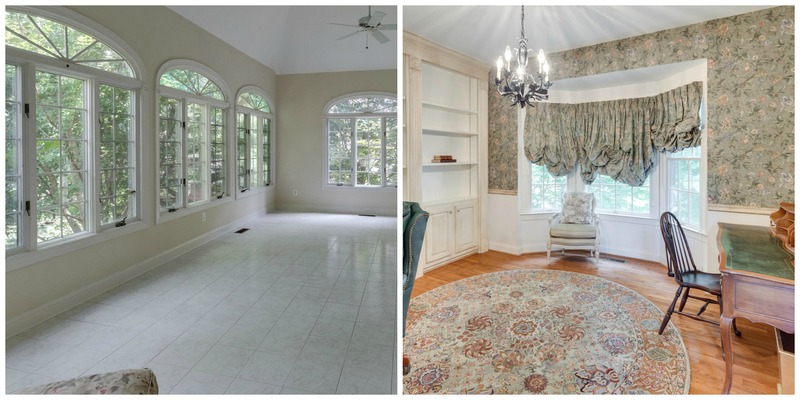 After seeing the home in person, the future buyers made an offer and the rest is history! The sellers of 1115 Amanada Drive were able to sell their home for an agreeable price, without having to spend any time or money on upgrades. And the buyers found their new dream home just waiting for their personal touch. We can’t wait to see what they do with this special home! Thinking about selling? Let us put together a strategy to get your home sold on your terms. The invitations have been sent out. The towels are on the chairs. This housewarming pool party will be the hit of the season. 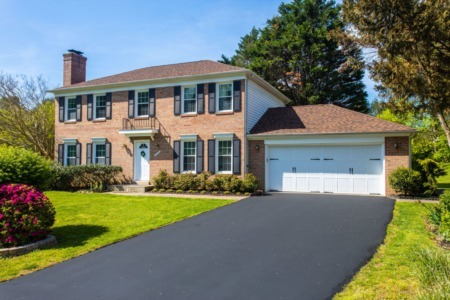 1115 Amanda Drive, Great Falls, VA 22066 checks off all the boxes with 5 spacious bedrooms, 4 full baths, 3 immaculate finished levels, over 5,400 square feet of finished space including the walk-out basement. 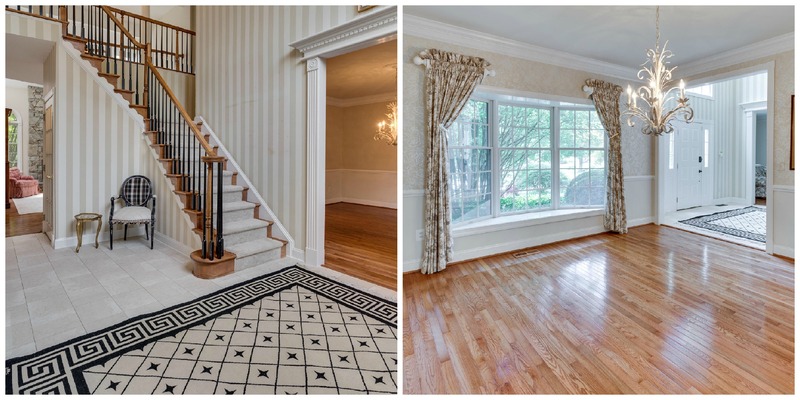 Highlights of this gorgeous home include spectacular outdoor entertaining area, soaring ceilings, upgrades throughout, detailed molding, grand curved entry staircase and touches of luxury everywhere. The main level features hardwoods throughout, a two-story awe-inspiring entrance with marble floors, formal living room with gas fireplace, separate formal dining room with access to kitchen, 2-story family room with stone fireplace, home office, sunroom with tile floors, entry to screened-in porch, amazing gourmet eat-in kitchen and breakfast area. Convenient mud/laundry room off the 2.5 car garage (half currently used as walk in pantry). 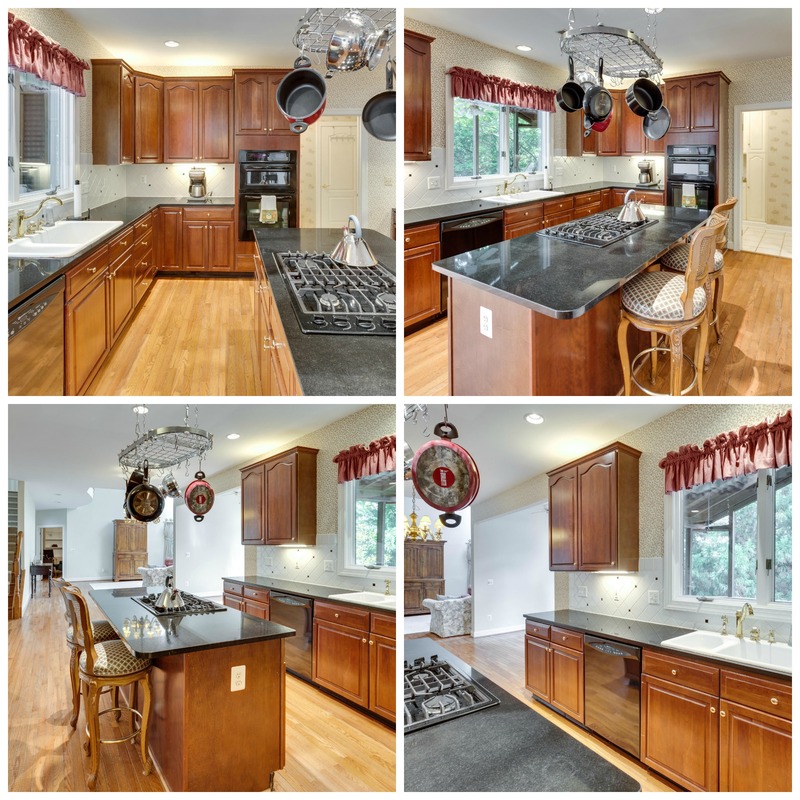 This home’s main course is the gourmet kitchen featuring beautiful cherry cabinets, granite countertops, tile backsplash, center island with cooktop and breakfast bar, wall microwave and oven. 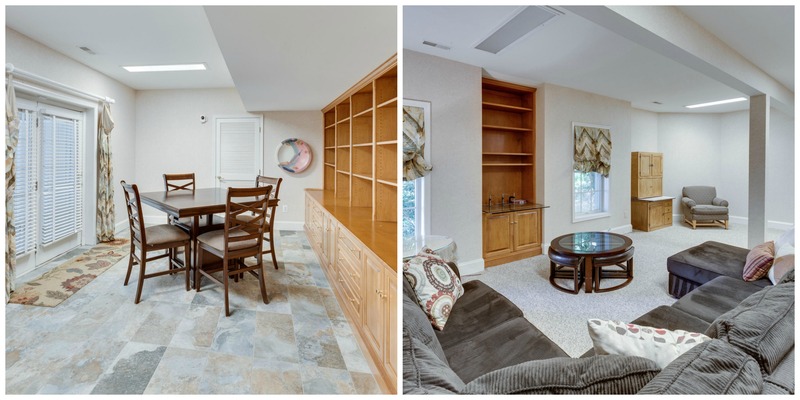 Step down into the dream walk-in pantry with shelving and additional work centers for days! The upper level hosts 4 spacious bedrooms including the elegant and luxurious master bedroom suite with not 1 but 2 sitting rooms. 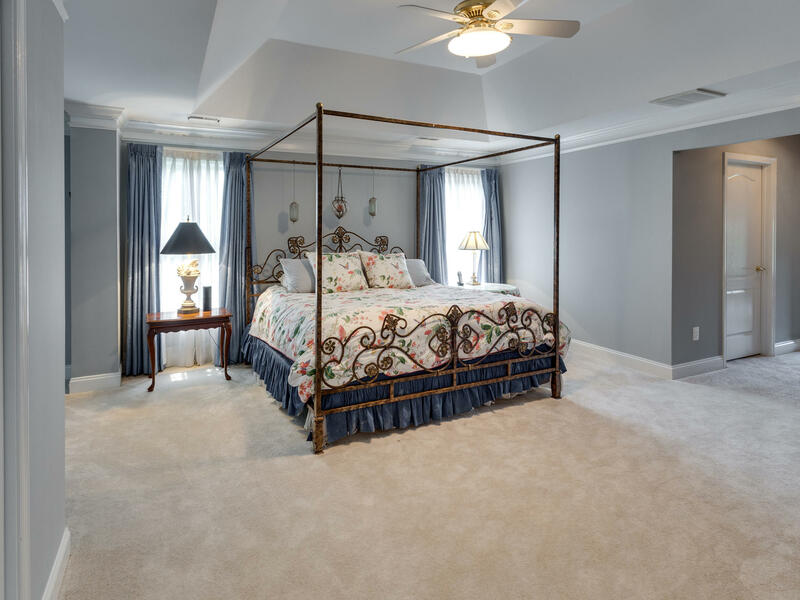 Features in the master bedroom include dual walk-in closets and spa-like master bath. 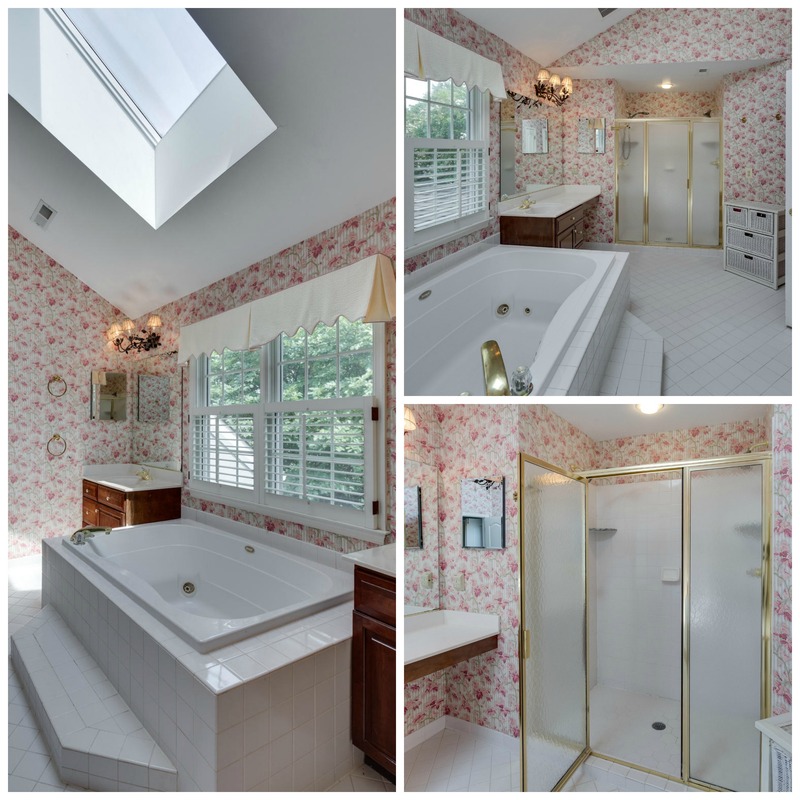 Enjoy separate vanities, soaking tub, frameless glass walk-in shower and sky lights that let the light pour in. The lower level has room for living and lounging! Whether you are up for games, a movie, or working out there is a little something for everyone! The large office/den has custom built-ins and would be a great playroom, craft area, yoga studio or legal 5th bedroom! The media room is ready for you to host Game of Thrones night with seating included. 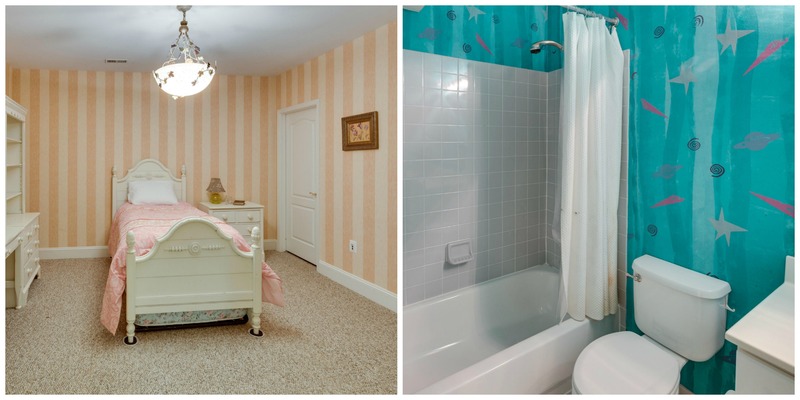 Additional bonus room and full bath on this level make it perfect for guest / nanny/ in-law/boomerang child accommodations. Weekends are made for relaxing and there is no shortage of options at this home. 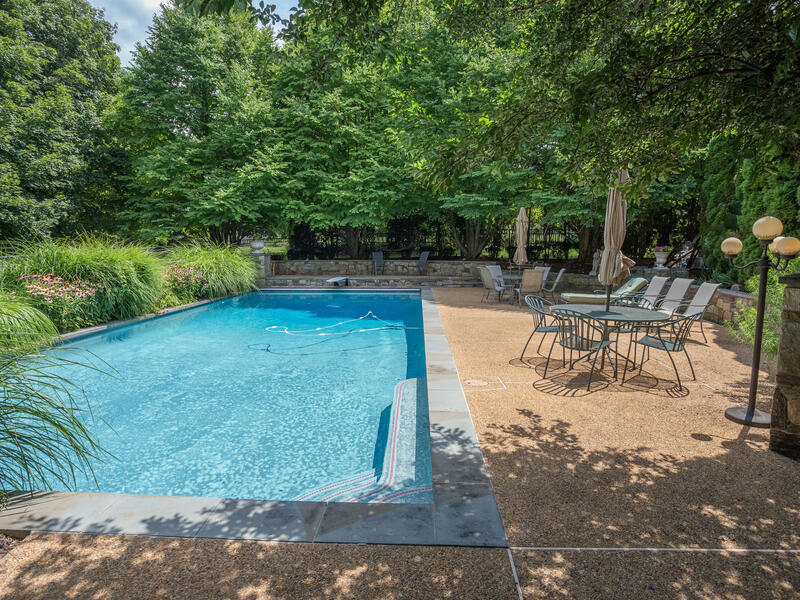 Lounge by the private pool or spend the evening in the hot tub surrounded by lush landscaping. 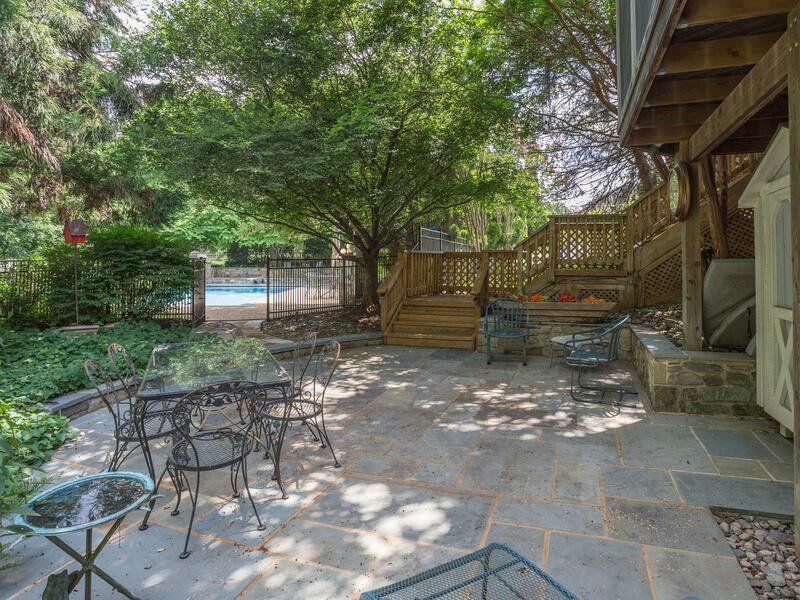 The stone patio with water feature is perfect for gathering friends for some food on the grill. 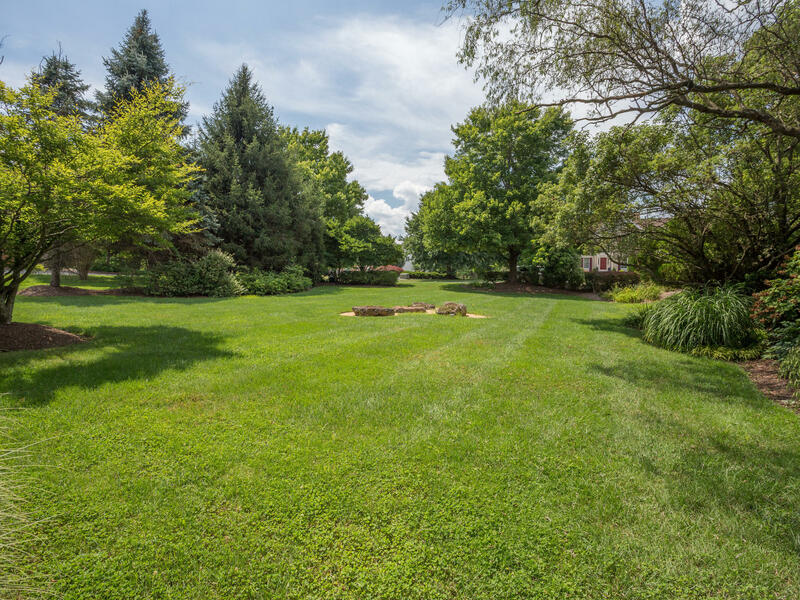 The 1.1 acres of land is double fenced and has plenty of room for a playground or maybe your own putting green. 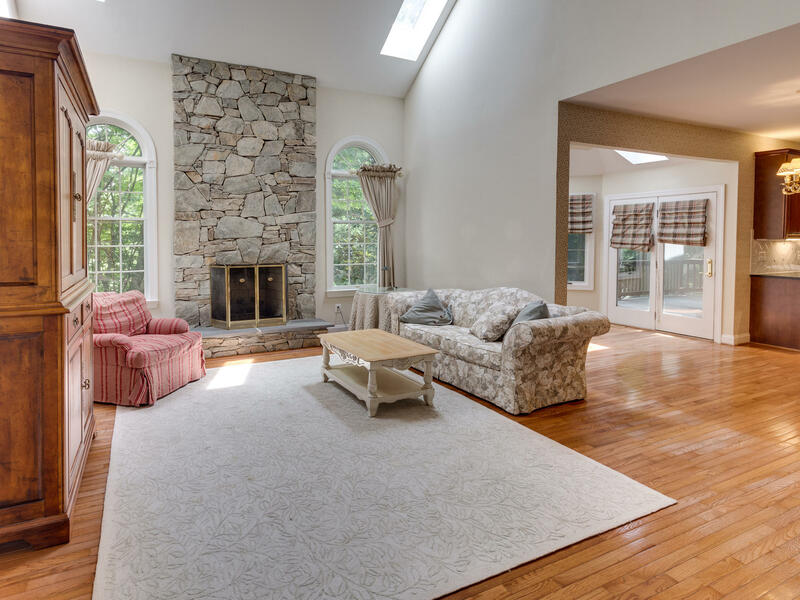 Peacefully private with a true neighborhood feel, yet minutes to everything, including Route 7, Reston and Great Falls. Get out and enjoy all that our area offers with a short drive to Tysons Corner, Washington, D.C. or catch a plane from nearby Dulles Airport to your next vacation spot. But you will never want to leave HOME !